“I’ve been associated with the KBB since 1967. It is a very reliable device based on very sound engineering practices. From its inception, it was designed in such a way that it could not have been bettered." The KBB is a fire safety shut-off valve for use on oil-burning equipment. The valve is installed in the oil supply pipeline outside the building with the sensor mounted firmly inside the appliance above the burner. The capillary should then be run in a protected position without over-sharp bends particularly near the sensor and valve. 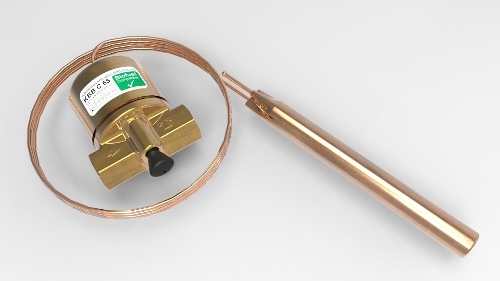 The KBB is the industry standard, and using this valve, property can be safeguarded against the risk of fuel being fed into a fire originating elsewhere than in the heating appliance (most fires in the home are of this type) and also against the risk of fire due to over-temperature of the oil burning equipment. The KBB is a compact valve of corrosion resistant, noncombustible construction and entirely mechanical in operation, requiring no power supply. The sensor is connected to the valve by a capillary, which cannot be detached. The reset button can be found at the base of the valve head and is pressed to reset the valve or if pulled will toggle the valve into the shut-off condition. The KBB is a quick acting thermally operated valve with a spring loaded trip mechanism and sealed temperature sensing system consisting of a bellows, capillary tube and sensor phial. The valve will snap closed when the temperature at the sensor phial exceeds the set value. The valve will remain in the shut-off condition until the appropriate action has been taken to restore normal operating conditions and the reset button has been pressed. The operation of the fire valve can be verified by using the KBT1000 test unit set to the appropriate temperature. This checks that the operation to shut-off the oil supply pipe takes place and enables a check to be made that the valve can be manually reset once the sensor phial temperature has reduced to normal operating level. The reset button must be pressed firmly to ensure the valve is positively latched in the open position. The valve can also be shut-off manually by pulling the reset button. For further information about the KBB, please contact us today.